Is it just me or is anyone else scared that the Mariners are one outfield injury away from starting Milton Bradley again? I got my fingers crossed that Michael Saunders will be a great player... but I fear the M's will give up prematurely again like they did with Shin-Soo Choo a few years back. Wish we had that trade back? Speaking of trades... Let's not be so quick to deal Closer David Aardsma. Every year theirs a demand for a quality closer at the trade deadline. Let us wait and see if anyone overspends to get one. Instead, I think all Mariners fans can agree, we have enough .270 batting average/contact hitters to fill two teams. What we need to do is be more like... The White Sox??? For years now the White Sox, and in particular Seattle J-Walker/White Sox G.M. Kenny Williams, have done an incredible job being in contention in a very strong division, the AL Central. Not by getting lucky with home grown talent or by overspending on the top level free agents, but by doing one simple thing offensively. That is to mix and match contact hitters with power hitters. When your team is too contact hitting friendly you must string together hit after hit. Not a very effective strategy in this era of the match up minded managers. What we must do is acquire more power bats to place behind Ichiro and Figgy! Recently adding Jack Cust to the lineup isn't a bad start, but in a perfect world Cust would be a #5 hitter at best. *VS left handed pitching a year ago Jack Cust batted just .180 with 1 home run, but against righties he batted .290 with 12 home runs. Not Exactly a murders row on offense right? Another power bat will be much needed to compete for 1st place in the AL West. Vladimir Guerrero comes to mind not only as a productive hitter but as a proven power threat in Safeco. Derreck Lee would be a nice fit as well. 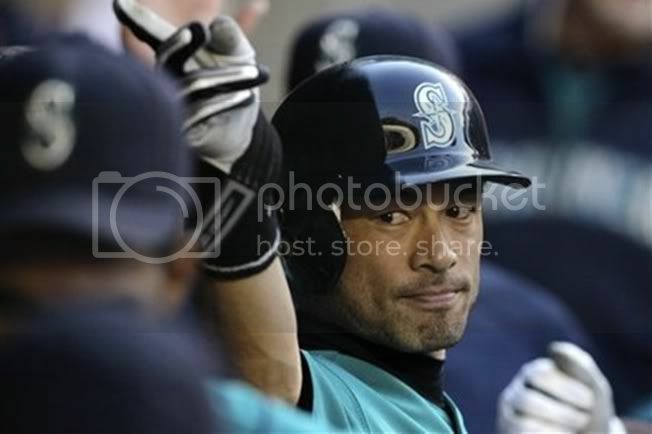 He would provide a big bat in the middle of the lineup and help keep the pressure off young Justin Smoak. Jim Thome is another possibility at DH/pinch hitter, whos veteren leadership might just be what the doctor ordered with the loss of Ken Griffey JR and Mike Sweeney. On a side note, I would like to see Justin Ackley play nearly everyday as a utility man either by spelling time at 2nd or shortstop. Well need him game ready anyways for the inevitable day Jack Wilson gets hurt and Milton Bradley pulls another section 8. Any question/comments or any other Mariners ideas, please feel free to comment below !! ackley won't ever play short. hes flying through the minors but defense at 2nd is holding him back. remember he was an outfielder until i believe he had an arm injury, so they moved him to first in his final college year. also all the bats you wanted to include would be used in place of someone else with power instead of stacking them.